Seiler Instrument wants your awesome photos of equipment/instruments in action to share with fellow professionals in the field, family and friends! What do you get for sharing your awesome photos this year? A chance to win $50.00 in our monthly drawings or the end of the year for a grand prize drawing of $100.00! Also, you will get recognition of your photo & name or company name on our social media channels and winners will also be featured in our print calendar! All we ask is the subject matter must have a geospatial theme as it relates to the Survey, Engineering, Mapping and/or Architectural industries. Entries must have been exposed by, and be owned by, the entrant(s.) Of course there are a few small details to any contest – please Click here to read full details and eligibility rules for submission. Keep Track of the winners: Follow our Facebook page @SeilerGeospatial for updates. 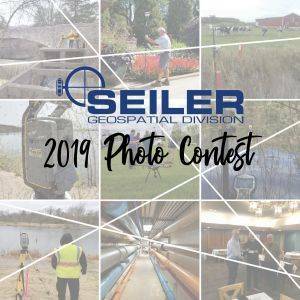 Seiler Instrument staff will pick a winner each month (based on submissions – if any) so, please submit often for a chance to win and capture some bragging rights for best photo! Submit your photo today – fill out the form below. File Size: Each image must not exceed 15 MB in size. File Format: Each image must be entered in .JPG or .TIFF or .PNG format. File Naming: Each image title must be included in the file name. File names should not include punctuation. *File upload limited to two images.